I hope you’ve enjoyed learning about the mage Lord Dal. There is another wizard who wants his story told and it was captured in the dark fantasy, Imprisoned in Stone. Dylan wanted nothing more than to tend his farm, grow old with his wife, and watch their son grow. The Brethren had different plans. They wanted to control all magic, and anyone brooked no refusal. For the crime of healing without payment, the Brethren imprisoned Dylan’s soul in stone. Centuries later a mind touches his and hope for escape from his eternal prison soars. However, his possible savior is unaware of her latent magic, the power needed to free him. Cuhlwich, the current head of the Brethren wants a successor of his choosing, including using magic to enforce his will. Only his son, Colwynn, wants to choose his own mate–an unknown woman whose magic calls him from afar. As to who will capture her heart? You will have to read the book to answer that one. 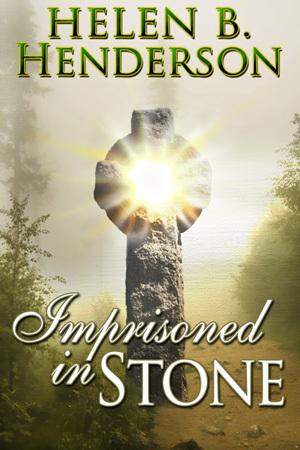 Imprisoned in Stone, available in ebook and paperback.